Ajenda is a rock band from Belfast, Northern Ireland. Fronted by vocalist Jen, the four-piece brandishes a mellow, blues-infused rock sound that’s pleasing overall. 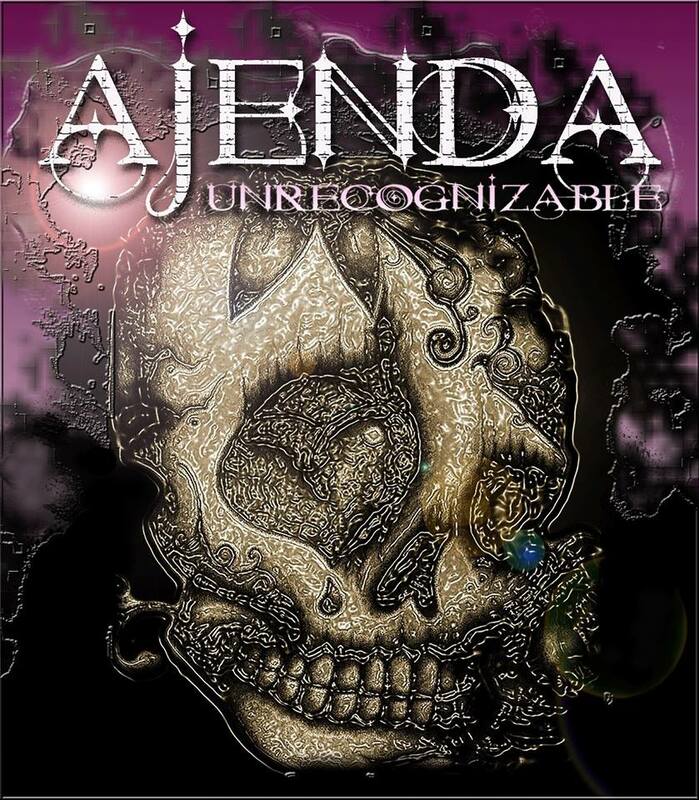 Following the release of two platters: 2009’s Vicious Circle EP and 2011’s The Suomi Sessions EP, listeners are treated to Ajenda’s 2013 debut album, Unrecognizable. This 10-song album was recorded at Manor Park Studio, and is available through iTunes and other media outlets. This is definitely not a metal or hard rock album: it’s more laid-back, for those days when you want to kick back and enjoy a cool, refreshing breeze. Unrecognizable has a clean production and crisp delivery, which is essential for today’s digital age. The songs translate well to a digital delivery format, without losing any of their designed impact or sizzle. The tunes are slower to mid tempo, nicely played, fairly melodic rock. They seem well-composed, and have a folky, traditional, ballady, grassroots feel in spots. They seem to be relatively simply blended and arranged, with a ‘go with the flow, don’t make waves’ feel. What’s nice about many bands at this ‘career stage’ is that listeners are fairly assured that what they’re hearing is the band’s original material: the roots of music, the true underground. An up-and-coming band isn’t quite as likely to use outside writers, studio musicians, or a producer who adds too many ‘bells & whistles’. Listeners can ‘hear through’ some layers of rock, and get right to the original creators of the material. Widely compared to vocalist Pink, Jen has a sultry, soulful, bluesy vocal. She has a raw edge to some of her vocal lines (especially in the live setting, but also audible on the record). Her voice is powerful, and nicely emoted. There’s nice use of effects and textures in the guitar department. Guitar lines are neither overplayed nor fancy. As with guitar, the bass and percussion are competent and well-done without any flourish or overplaying. The lyrics seem to center on issues of the heart, emotional response, or feelings and reactions to certain situations. What’s nice about this band is that it seems that most of their album has been designed to be playable in the live setting: there aren’t too many extraneous parts. One thing Ajenda does really well, is that they use either clean electric, or regular acoustic guitar parts to accent many spots in their songs. Listen for this as the ‘clean’ interlude in “Tattoo”, or the acoustic overlays in “Paranoia”, “Heaven’s Tears”, “Hollow”. “Fragile” takes this a full step further with the entire song being devoted to acoustic guitar and vocals, with bass guitar lending distant background support. “Fragile”, a pretty, melodic number, speaks to that part of us which isn’t overtaken by gloom, negativity, and extreme metal. “Fragile” also explores a dual vocal, as duet and harmony, which is a welcome change to the album’s otherwise singular-voice presentation. As fairly melancholy or ballady as “Heaven’s Tears” is, it also seems to be another peak of the album, with a very rich and well-composed acoustic guitar featured as the lead instrument. There are interesting percussion accents as well as pleasing background vocals. The rainstorm sample as beginning and end adds vitality. “Hollow” has a nice, wide range of moods: it starts out nearly acoustic and very mellow, breaking to a nice rock tune. It has a full stop about halfway through the tune, adding interest. “Hatred and Greed” has a bass introduction and bass-forward verse: this is a nice change of pace for a guitar-centered rock band. “Olympus Monz” is an instrumental finale. Like the rest of the album, it is mellow, not making waves. It’s sort-of ‘happy to be alive’ type positive stuff. It’s not that ambient, but it’s also nothing that scorches off the record. Criticism: The advantage, usually, to having a woman front your band as a vocalist, is that most women have a fairly extensive range and a dynamic that’s very difficult for most men to duplicate. Jen comfortably sits within a limited range and dynamic, without pushing herself beyond. So, after a few tunes, if you focus on her voice as ‘a selling point’ for the band, the record sort-of blurs in to itself. On Unrecognizable, there are some background upper-register vocal harmonies and guitar part duplications that can’t be achieved live. While this gives an added dimension to the tunes, it will be lost in the live setting unless the band uses a backing track. For listeners who are used to more ‘flourish’ in their rock & roll, this album might seem either uncluttered, simple, or very average. The album could benefit from some ‘bells and whistles’, to differentiate it from the immense crowd. The musicians all seem to have a good degree of competence on their instruments, so little things like adding more syncopation or dynamic ought to be painless additions. If Ajenda’s agenda is to please a regional club crowd, they’ve already hit a pretty high mark – for a debut it is rock solid; Unrecognizable is fantastic for that purpose. Today’s record labels seem to look for bands like this: they’ve got an aggressive fan following, a stable lineup capable of delivering intense live shows, and they’re not necessarily rewriting every musical rule in the book, leaving room to grow. For a debut, it’s a bedrock foundation on which to build. The band additionally has a strong following from their energetic live performances, which may spur them to broaden their rock n roll reach a bit.